Released 5 months after the launch of Xbox One, Titanfall was supposed to be Xbox One’s ‘killer app’. Criticized for being shallow because it lacks a single player campaign, and other people ragged on it because they disliked the addition of titans (what!). Although once the dust settled, Titanfall still stands as my favorite FPS in a very long, long time. May 2002, Jason West and Vince Zampella along with Grant Collier founded Infinity Ward. Yes, the same Infinity Ward that created Call of Duty, including Modern Warfare which forever changed the face of multiplayer games. After bad blood between Infinity Ward and Activision (Call of Duty’s publisher), Jason and Vince decided to leave all the drama behind and spawn a new studio, thus Respawn Entertainment was born. Respawn had to hit a home run with its first title. As Jason and Vince were tangled in lawsuits with Activision, they relied on their carefully selected team to create the future of Respawn. If you’d like to learn more about that Respawn’s journey to Titanfall, check out Geoff Keighley’s book, ‘The Final Hours of Titanfall’. I’m going to focus on why Respawn’s first game is my favorite FPS since Unreal Tournament ’99. Run. Jump. Shoot. Kill. Jump. Wallrun… wait, wallrun? Yes! There have been games in the past that allowed players to run on walls, but Respawn’s approach makes it rewarding every single time. 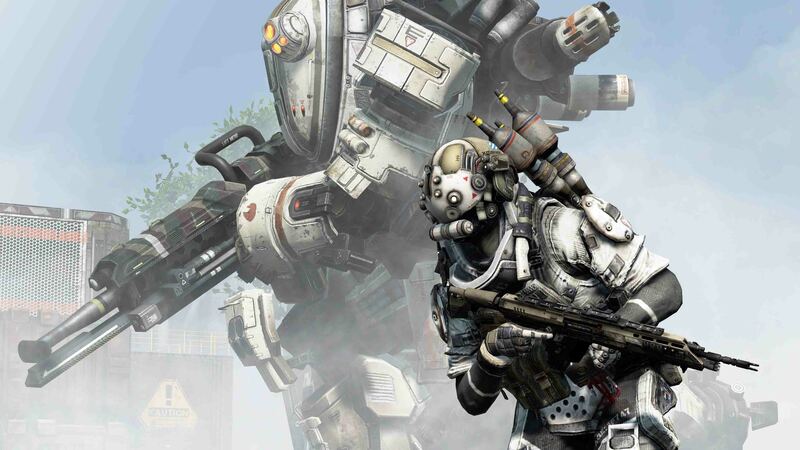 ‘Vertical gameplay’ seemed like a marketing gimmick before Titanfall’s launch, but turned out to be a perfect way to balance combat between pilots and titans. Titans, oh yes, titans. Titans are available to every player on the battlefield after a set amount of time. However that time can be decreased by scoring kills or using burn cards. Once the timer counts down to 0, press down on the d-pad, a titan blasts out of orbit and lands at your feet. Hop in and let the fun begin! The fun begins because Titanfall is a really well balanced game. Maps are perfectly constructed to allow titans maximum mobility while giving pilots places to hide, strategize and cause havoc to other pilots. More importantly, Titanfall allows a gamer’s personality and ideas to come alive within the game. 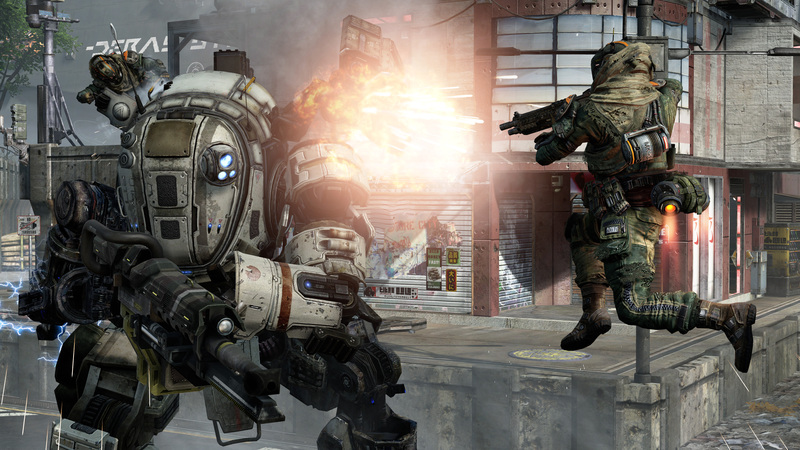 There are multiple ways to do almost everything in Titanfall. Players who experiment and stay on their toes are going to be the most successful. One mechanic of Titanfall is a pilot can jump onto a titan, tear off a panel and start shooting at a titan’s internal systems. This mechanic is quickly learned and practiced by nearly every player. Riding a titan might be compared to bull riding because the titan’s operator is doing everything in their power to quickly remove the enemy pilot. A common method for dealing with an enemy pilot is to get out of a titan and shoot the enemy pilot. Clever pilots realized that when they’re on a titan and the operator hops out, the titan stops moving. At this point the enemy pilot drops their titan in the exact same location, and when their titan lands, BOOM goes the titan they’re attacking! I still remember when an enemy pilot did this to me. I felt disrespected, but also in awe that there is an entirely new angle to attack enemy titans. 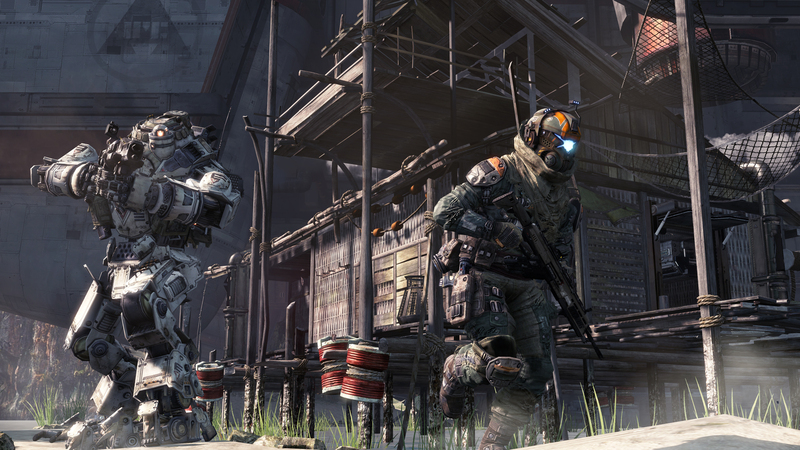 There are a lot of options at a player’s disposal in Titanfall. Although when and how to use them is what makes Titanfall a new experience every time you play. Sometimes the enemy team will bring in 5 titans at the start of a match, or maybe they focus on taking out grunts and spectres to up their team’s score. Titanfall comes down to picking the appropriate weapon, realizing when to drop in a titan, or using the right burn card. It could be argued that every game has similar ‘pieces to the puzzle’, but I’d argue that most FPS are about overwhelming the enemy. Whereas Titanfall is more like Tetris, strategically placing the pieces you’re given in the right spot at the right time. The strategic bond between pieces creates the feeling that Titanfall wasn’t just slapped together, rather it was carefully crafted by Repsawn with love and care. “Prepare for Titanfall!” is a phrase that I will always be happy to hear.